First off, my apologies for the delay in posting blogs. Most of you know, unless you have been under a rock, the focus has been more on creating content for the TjX show. However that’s no excuse, so we will be updating more blog posts for the foreseeable future. We promise. What should the first welcome back topic b? Let’s start with TRUJITSU news. TRUJITSU Unified makes the podium for every category at JJWorld League. Again. Outliers Jiu Jitsu wins Elite 8! Congrats Professor Jeremy Barden and Outliers crew. Delano Jiu Jitsu Club makes a wave in San Francisco!! Congrats coach Eric Juarez and Ryan Galvan and Delano Crew! TRUJITSU has a new Black Belt. Congratulations to Professor James Morales. (54 years young). and still Guyama gripping opponents half his age. TRUJITSU Bakersfield aka BBJJ wins 2018 Season Championship after double First place Academy awards. Michael Walker jumps up 2 weight classes and wins the IBJJF LA PRO! Kylie Baker wins The AD Grand Slam London. Excelsior Jiu Jitsu makes a wave at the IBJJF Orlando Open. 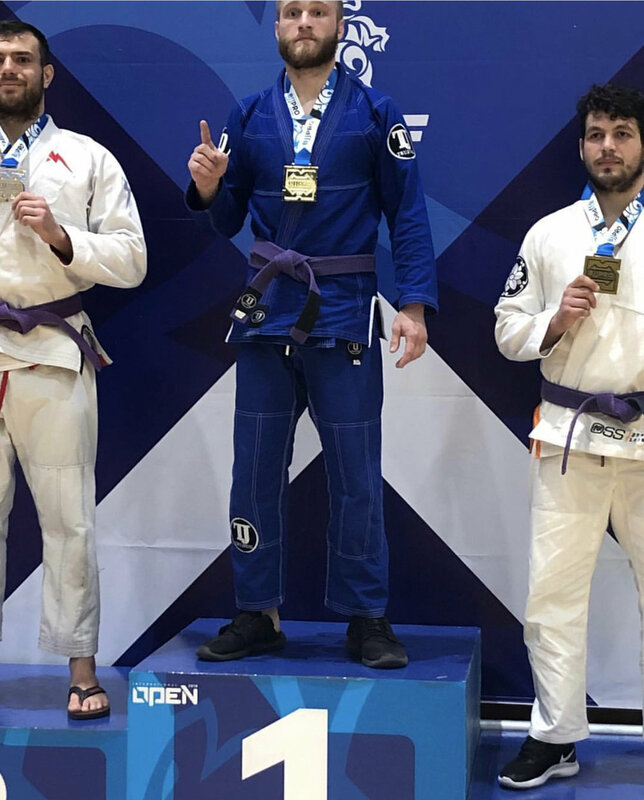 TRUJITSU athletes win Gold at 2019 IBJJF PAN. Congrats Ryan Galvan and Andrew Lowrimore. Blacksmith JiuJitsu makes a wave at JJWorld League. TRUJITSU Unified invades JJWorld League Fullerton (as seen on TJX Show episode 7) capturing trophies in 5 separate divisions. Thank you to all TRUJITSU affiliate Academies able to attend the event. Your awesome work and comeradre showed. The overall message of TRUJITSU is about accomplishing goals with out needing to live an unbalanced life by neglecting responsibilities to train. Jiu Jitsu should bring balance to your life, not take it away. Thank you to these TRUJITSU representatives across the country that are proving you can accomplish great things, and still live a balanced life.
" Escape by moving your hips, not by reaching with your arms. "